Summer, to me, means bathing suits, the pool, cocktails and chips with dip. One of my favorite activities is to go to local restaurants, sit outside on the patio and indulge in some tasty beverages and salsa (yes, that is an activity). Some of my favorite salsa recipes include the standard ingredients: tomatoes, limes and onions. But I've never been one to stick to the "standard" when cooking, so I switched it up a bit. This is one of my new favorites and it's pretty obvious why. 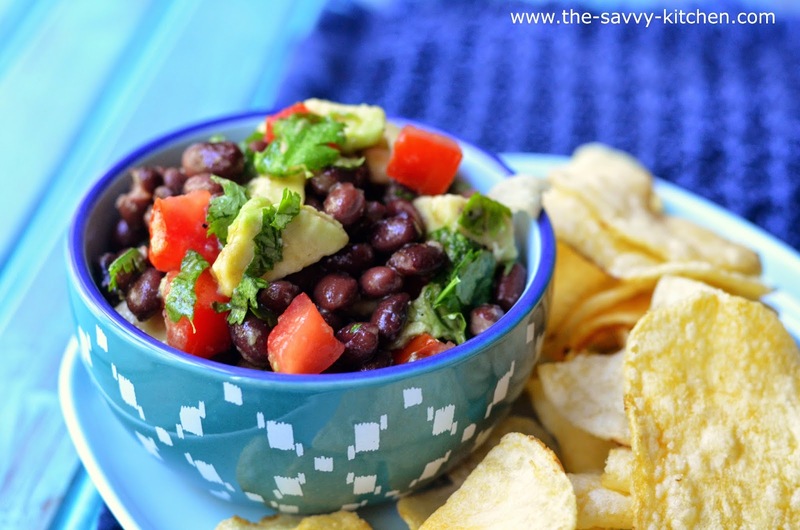 It's a twist on traditional salsa since I incorporated black beans and vinegar into the mix, but they add a new and distinct flavor that make it extremely addictive. Not only is this salsa tasty, but it's pretty, too! 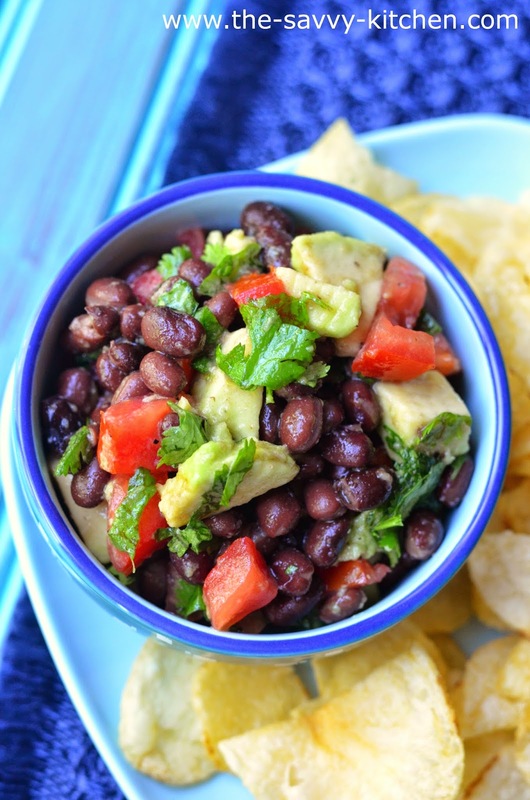 Fresh avocado and tomatoes brighten up this dish and make it perfect for any gathering. This was a hit with Chris and I'm positive it will be a winner with your crowd, too. Enjoy! 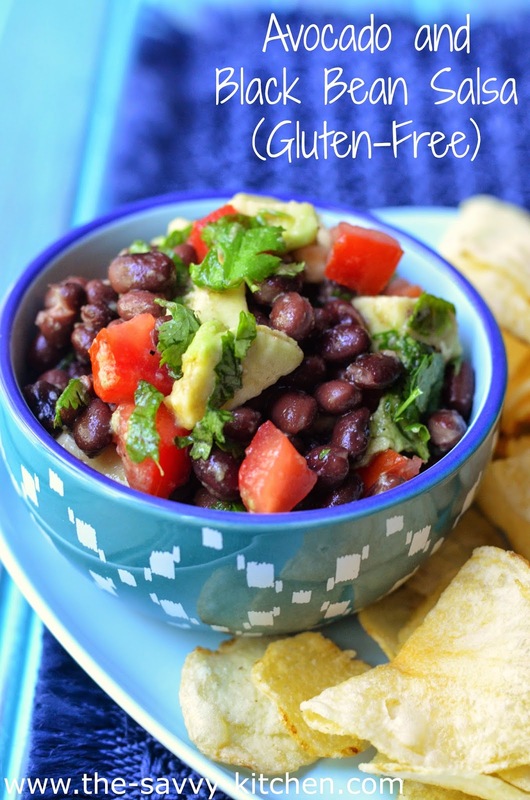 Combine the avocados, tomato, black beans and cilantro in a bowl. Drizzle the vinegar and olive oil on top. Sprinkle with salt and pepper and stir to combine. Adjust seasoning as needed. Serve with chips.